Handy smartphones are the latest upgrade that some hotels have been making to improve the guest experience. In-house guests of the hotel will be entitled to, in and outside the hotel, the use of unlimited mobile Internet access, free local & IDD calls, an informative digital City Guide and latest offers of the hotel using a free smartphone which is provided free in the hotel room for guest use. No personal information or usage record will be kept on the Handy smartphone. 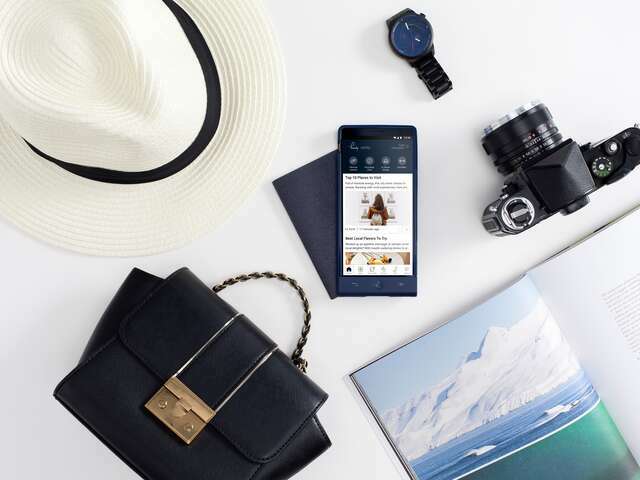 For now, Handy smartphones can be found in overseas hotels, in Greater China, Europe, the Asia-Pacific Region, the Middle East, Africa, and Latin America. For Canadian travellers going to these destinations they can be a great way to stay connected and save on cell phone charges! For a complete list of hotels with the Handy smartphone click here. Are Basic Economy Fares a good fit? WestJet announces Calgary service to Terrace, B.C. Six Things You Need to Know About SPG-Marriot Rewards! Delta and Virgin Atlantic update network between U.S. and U.K. Stuck in a Hotel During a Hurricane? Here's What to Do! What Are Hurricanes? Know Before You Go. Have you been overpaying for Multi-City, Open Jaw and Circle Trip Fares? Where are Europe’s Happiest Cities? Which 5 languages have the highest number of native speakers in the world? Business Class Pass - Available for a limited time! How are Hotels Catering to the Wellness of Business Travellers? Mobile Boarding Passes and TSA pre-check in the USA! UNIGLOBE Delivers - Travel. Simplified. The Air Canada World Travel Pass is Back! Are you Drowning in Travel Data but Starved for Information? Air Canada's 787 Dreamliner to Take Flight!